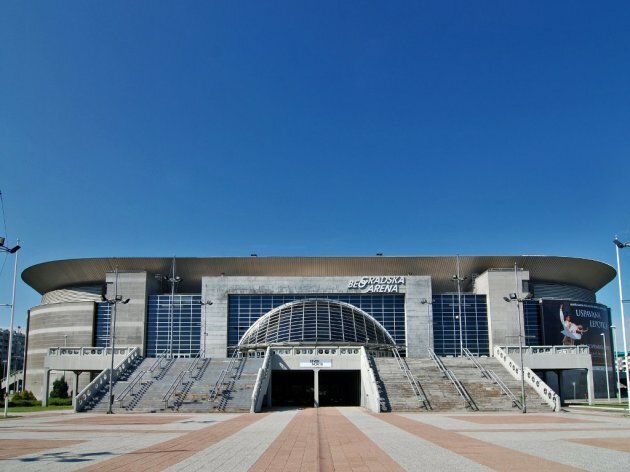 The name sponsorship of the Belgrade Arena will be awarded to the Atlantic Group, as the City of Belgrade and the company Arena Beograd have decided that the group has sent the best bid, Beoinfo reports. In the next 15 days, Arena Beograd will sign a contract on name sponsorship, which will regulate the rights and obligations of the sponsor and the Arena in greater detail. Over the next five years, the Belgrade Arena will be called Stark Arena. – The Belgrade Arena will carry the name of the renowned local brand, which is very important to us. Arena is looking at big investments next year and we will also invest in the latest equipment, which will be ready by the EuroLeague Final Four in May. The facility will have a media cube, a new PA system, new LED lighting – said Mayor Sinisa Mali. Vice President of the Atlantic Group, Neven Vrankovic, said that Stark was a symbol of care and friendship. – The Atlantic Group is very pleased with the outcome of the contest for the name sponsor of the Belgrade Arena. The brands in Atlantic’s portfolio have a long tradition of quality, and Stark, a symbol of care and friendship, also seen in the recognizable Stark heart symbol, has the deepest roots. We will promote these same values in our partnership project, the Stark Arena – Vrankovic said. The public invitation commission placed the invitation for local and foreign legal entities in June. Based on the sponsorship agreement, the sponsor’s rights are limited to the period of five years from the date specified in the agreement, Beoinfo reports.